When you are looking at buying or selling a home, unit, townhouse or block of land, consider seeking legal advice prior to entering into a contract. We can discuss with you all the legal, financial and other issues involved. While we might sometimes cautiously recommend you not proceed with your plans, we more likely will give you our considered advice on the best, safest and least-expensive way to achieve what you wish to do. Don’t sign anything unless you first let us check it out for you. 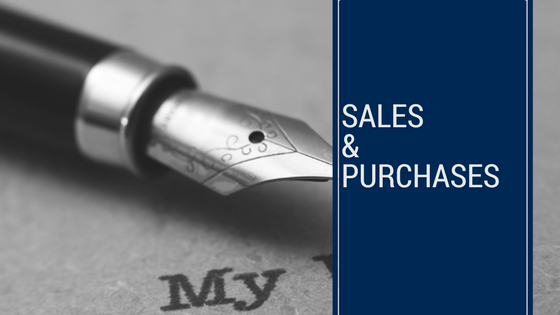 We know the unsuspected tricks and hidden traps involved in residential sales and purchases, and will ensure you enter into any contract well-advised and legally-protected. Because of the many and often well-publicised legal and financial risks associated with buying, selling or re-selling properties off-the-plan, you should not sign anything until you have sought legal advice. It is preferable to protect your interests initially rather than trying to renegotiate contracts down the track. When you are in the process of buying or selling a commercial or industrial property, the first rule is to hasten slowly. See us first for our essential commercial/industrial conveyancing services and support which, in our view, must begin before you even put pen to paper. You can rely on our experience in this area to ensure the commencement, the progress and the completion of your sale or purchase occurs without legal hassles or other hitches. And if problems arise along the way, we will be with you to resolve them.